WataugaWatch: Will the Watauga County Commission Do Anything About the Proposed Maymead Asphalt Plant? You forgot to mention the county has now received an application for a second new asphalt plant to be located somewhere on Rainbow Trail. 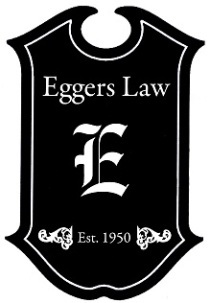 The question will be whether the Eggers lawyer is able to convince the councilmen that Maymead and now this other asphalt company whose name was not mentioned by Mr. Furman are "grandfathered-in" and protected against a moratorium. We all know the logical response to that, but they were wringing their hands about the legality of it all. What about the legality of issuing an asphalt plant permit in 2011 without any public hearing and putting no time limit or non-transferance clause on it? This is kinda govt geeky, but if you saw what happened when one of the Eggers tried to "stifle" the Commissioners interest in a moratorium .... Wait, But Why? Watauga County's current and proposed high impact land use regulations favor high impact toxic polluters, not residents of the county. Watauga County is a rural area with a reliance on tourism and agriculture for its economy. THREE asphalt plants in a county of less than 53,000 people will cause harm to tourism, harm to agriculture, harm to the health of the many school children whose schools will be in close proximity to asphalt plants; harm to the New River; harm to the nearby land values. And it will destroy the Doc and Merle Watson Scenic Byway - which is some tribute to this cherished and iconic family from Deep Gap. I have no idea why the Eggers clan and the commissioners - who live and breathe here too - want to destroy the assets of the county by transforming Watauga into the asphalt capital of western North Carolina. If the commissioners do nothing to stop Maymead and the other company from their toxic developments, that is the most destructive political and regulatory policy implementation I've ever seen. Ever. Why in God's Green Earth does Watauga county need THREE asphalt plants? I guess you people like dirt roads. Where is an appropriate location for an asphalt plant in our opinion? The lawyers' conflicts of interest continue to be staggering. Doesn't seem that anybody cares about that. Maybe they figure these people are untouchable, and that might be true. Anonymous, that's a completely false choice, as you are well aware. But if it were a real choice, then yes, I will continue to happily live on a dirt road while my children continue to breathe unpolluted air while they sit in their non-air-conditioned classroom with the windows open, play in their school playground, and practice sports outdoors in the afternoons and evenings. "Oh it's very difficult, it's very hard, it has to pass rigorous tests, EggersEggersEggersEggers belly-ached " Excuse me, doesn't the County Attorney serve the BOC? It would seem the Attorney should have responded with "if it is the wish of the board I will do everything I can to assist you in this process".... not rambling double talking legalese to cover for covering for his brother. That kind of self serving negative attempt at influencing the intentions of the BOC to reduce their work load by their attorney has to stop. How about the backyard of Maymead's CEO? How about in Eggers's backyard? The point is that their current site is no good. The onus is on them to find a better location, not us. Besides, the asphalt is for Ashe County, not us. Anon 5:30 - the appropriate place for an asphalt plant for the 221 widening project is at the existing Maymead asphalt plant in Ashe County.....at the other end of the 221 widening project. And, personally, I like my dirt road. It's narrow, green (except in dusty weather), and cool, and folks have to slow down as they drive it. Works for me! ANON 1:30: My residence is on a dirt road too and I like it that way. But I also like my major highways wide, smooth, free of potholes and with paved shoulders. ANON 9;28: US 221 is the major transportation link between Ashe and Watauga Counties. I suspect that as many people who either live or work in Watauga County use 221 as do those who live in Ashe. And the entire route, both the Ashe and Watauga portions, are scheduled to be widened. If there is a significant air quality issue that threatens the health of local residents and school children, the Division of Air Quality will deny Maymead's permit application. But it could be that the local NIMBYs are greatly exaggerating the air quality threat. Better to have that analysis performed by the professionals in the Division of Air Quality. There are two asphalt plants in the region - we hardly need four. The county's lax regulatory HILU policy will allow the county to become the asphalt capital of western NC - if not the state. It's a disgrace. And to anon who thinks we need it = please volunteer your backyard. And let your children attend the school closest to the fumes. Tripling the number of asphalt plants in a 10-mile radius is a threat to the county, not a benefit. With the second permit application, we have reached the status of "imminent threat" to the well being of this county and its citizens. Next Monday, the commissioners need to call for an instant moratorium on all high impact land use, including Maymead's proposed site until further studies can be done. There are obviously a few private interests involved that want to get this rammed through as quickly as possible with the county's lawyers and commissioners help. This must be stopped.